Skin and hair products that nourish and pamper—naturally! We know you want to treat your spa guests to products that make them feel exquisite. That’s why we create all of our signature and custom private-label natural spa products with only the best quality ingredients, using only natural colorants and fragrances. Our premium body and hair products are 100% vegan and certified as cruelty free by the Leaping Bunny Program. Replenishing body butter, hydrating lip balm, gentle and revitalizing shampoo, enriching conditioner, invigorating body wash, and relaxing bath infusions. All are earth friendly, vegan and free of sulfates, parabens, formaldehyde, and other skin irritants. Delight your clientele with superior skin care products that soothe, hydrate, revive, and leave skin smooth and glowing. 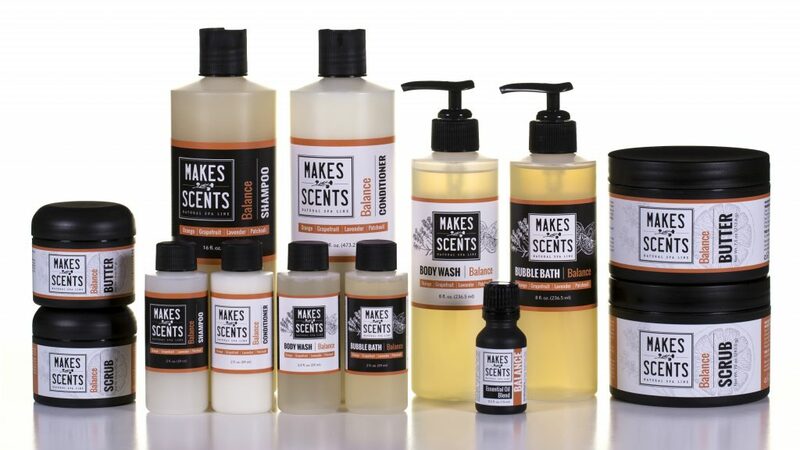 Contact us about adding Makes Scents Natural Spa Line products to your treatment menu! For wholesale spa pricing, contact us by phone at 717-824-3094 or by email at Info@MakesScentsSpaLine.com. Exceptional spa treatments begin with remarkable body treatment products. To give your guests an exceptional spa experience, it takes using the very best professional spa products. At Makes Scents Natural Spa Line, we create our signature and custom private-label body scrubs and wraps with superior ingredients to provide superior results. All of our products are paraben free, formaldehyde free, vegan and certified cruelty free. Please take a moment to discover our indulgent selection of detoxifying body wraps and exfoliating scrubs. Or contact us about formulating a distinctive line of products exclusive to your spa or resort. Scrubs are available in wholesale professional bulk sizes and in retail sizes. Wraps are available in professional sizes.